Yeah why do young people stay in church? 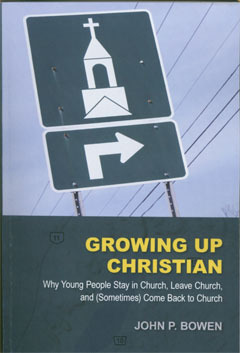 When there is so much being written about youth drop out, a great question is, “why do so many stay?” I was grabbed by one particular answer John Bowen offers in his book “Growing Up Christian: Why Young People Stay in Church, Leave Church, and (Sometimes) Come Back to Church.” John is a former Inter-Varsity staff member who currently serves as the Associate Professor of Evangelism at the Anglican Wycliffe College at the University of Toronto. He’s even spoken at Redwood Park in the past, although that was many many years ago! Hey John, it might be time to invite you back! Okay, why do young people stay in church?? The answer that particularly grabbed me was the power of a mentor in the life of a young person. Close to 82% of the respondents to John’s research rated the impact of a mentor as critical to their ongoing commitment to faith and expressing their faith through a local church. Like John I had expected to see the strong correlation between friends and staying connected to church: almost 81% rated that as critical. And yes that is almost as big of deal as a mentor. I just hadn’t expected mentors to be as big of a deal or even bigger! That thought grabbed me and challenged me. However, it’s what rated as the number one reason for staying in church that I found particularly encouraging, namely God Himself! For almost 90% of those still involved in a local church, it was their relationship with God that kept them in church. Imagine that, a vital experience of God is the number one reason why folk hang in on church. Actually, I’m quite pumped to see that turn up statistically! Now as I look at churches such as Redwood and so many like us, John’s findings are both encouraging but challenging. While mid-size to larger churches like Redwood do seem to be able to cultivate an environment that encourages a vibrant connection with God, can mid-sized to larger churches like ours also effectively provide quality one to one mentoring relationships to the many youth we serve? Do smaller churches do any better? It seems to me, no matter the size, we need to become a bit more intentional about one to one mentorship. And I suspect this would be true not just of youth, but for the faith journey of our adult community as well. Earlier this year I read Aelred of Rievaulx’s classic “Spiritual Friendship.” He wrote it somewhere between 1147 and 1167 as he served as the abbot an English Cistercian abbey. It was a great read about the power of spiritual friendships and mentorship as one of the most effective tools we have for spiritual and overall life formation. What Bowen does is simply provide current evidence that one to one mentoring relationships are still one of the most effective tools we have to encourage spiritual growth with a missional focus. As I read John’s book I found it paralleled my own experience. While friends have always played a critical role in my faith development, by far my reasons for being in church and in church leadership is the intimate experience of God Himself in my life, followed by a number of amazing mentors I’ve been blessed with over the years. “Growing Up Christian,” is a helpful reminder that I need to pray and work more intentionally at creating an environment where more and more in our church family have the opportunity to experience the quality of mentorship that I have over the years, as they experience God personally and vitally. John’s book is not just about why young people choose to stay in church; it also looks at why many drop out. And while in many cases the leading causes are the opposite of the ones that cause folk to stay, I was again caught by one reality that I haven’t personally given sufficient attention to. John’s quotes Canadian sociologist Reginald Bibbey, who states: “every time people move, about half of them will stop attending regularly,” and shows how his research backs that up. So much more I could say about this great contribution by John to the literature currently out there on youth dropping out of church. Let me simply encourage you to get “Growing Up Christian” for yourself. There’s also a good summary of his findings at: http://ow.ly/5LJGb. Before I sign off, a couple of quick disclaimers. 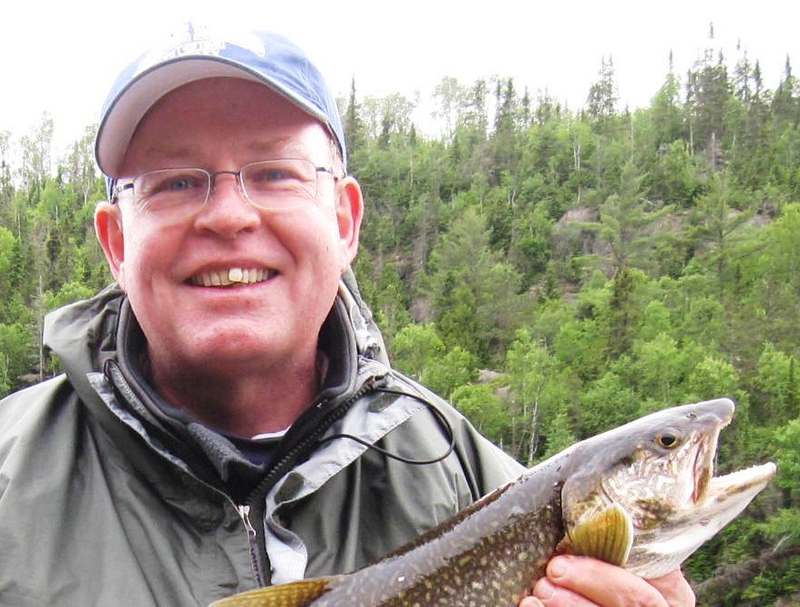 John’s book is based on research of a fairly narrow band of respondents, namely young people who graduated form Inter-Varsity’s Ontario Pioneer Camps’ Leader-In-Training Program during the seventeen years John was a leader and teacher. He doesn’t pretend that his research provides definitive answers. Also this is a camp where I’ve previously served as a volunteer, a salaried Follow Up Coordinator during my seminary years, and later gave four years as it’s Administrative Director. All three of my children have almost been raised in this camp, at least during the summer, including its Leader-In-Training Program. And even as I write this, my wife Jane is there, serving as the Girls Camp Cook. My family and I owe a huge debt of gratitude to the amazing leaders who have impacted our lives through this work of Inter-Varsity Christian Fellowship over many decades!! John thanks for taking the time to study the impact that camp has had on a group of youth you worked with as they have moved into adulthood. You’ve left us with some good questions to wrestle through as we seek to develop effective ministry to future generations. One Response to "Yeah, why do young people stay in church?" “Imagine that, a vital experience of God is the number one reason why folk hang in on church.” – Funny how simple and how profound that statement is; and something that church leadership and volunteers should always be in prayer about… praying for more and more spiritual breakthrough.